Let us paint the contours of the world with the colours of love, dream and scintillating forms of imagination that enlivens us. Let us essentialise our inner worth and prioritise the person we are. 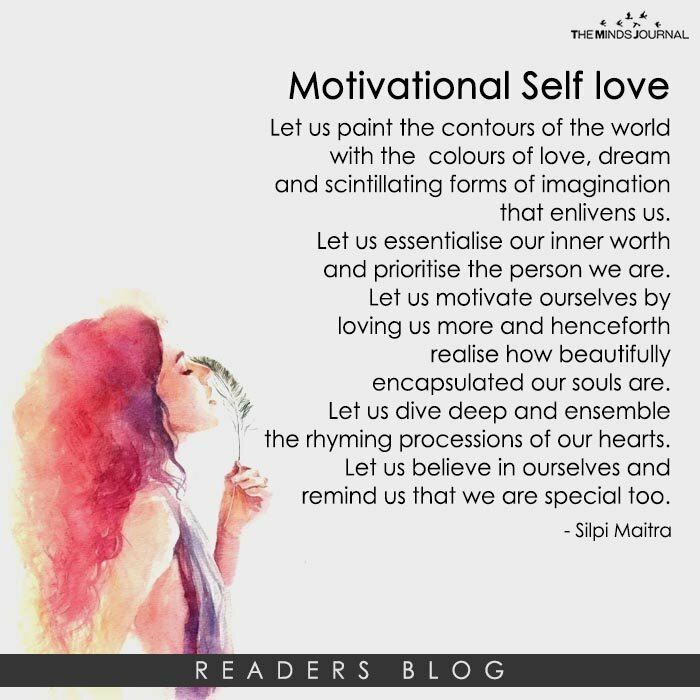 Let us motivate ourselves by loving us more and henceforth realise how beautifully encapsulated our souls are. Let us dive deep and ensemble the rhyming processions of our hearts. Let us believe in ourselves and remind us that we are special too.